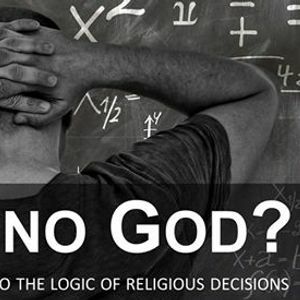 All religions address big questions, like the meaning of our life and what happens after death. Christians claim that the answers to these questions can be found in the Bible, and that our future destiny is based on a personal decision - how we respond to the person of Jesus Christ. What is it then that influences this decision? Is our upbringing crucial, is our experience later in life more important, or do some people have a genetic predisposition to become Christians? 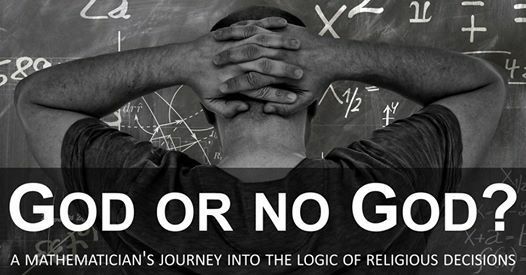 In his recently published book "Becoming a Christian", Ola Hössjer tackles these questions as a mathematician, arguing that the decision consists of three components; an inborn ability of all humans to relate to God (prior belief), how we gather and interpret the evidence, and finally our willingness to take a step in faith. He contends that the decision is determined by how we combine the evidence and the will, and that a life crisis, or some other dramatic experience, may change our priorities. OLA HÖSSJER received a PhD in Mathematical Statistics from Uppsala University, Sweden, in 1991. Appointed Professor of Mathematical Statistics at Lund University in 2000, he has held the same position at Stockholm University since 2002. His research focuses on developing statistical theory and probability theory for various applications, in particular population genetics, epidemiology, and insurance mathematics. In 2009 he was awarded the Gustafsson Prize in Mathematics. He is a member of a Pentecostal church in Sollentuna. Stakladen, Nordre Ringgade 3, 8000 Aarhus C.
The Veritas Forum is a Christian platform for open dialogue about life's big questions in an academic setting. The Veritas Forum is ecumenical and cooperates in Denmark with Kristeligt Forbund for Studerende. For more information, see “Veritas Forum Denmark” on Facebook or www.Veritas.org.